Awareness – Reflex – Patience – Precision undercover training! When allocating budget for extracurricular activities, you can count magic in as “entertainment” or even more precisely as “education”. For those that have attended one of the Academy’s events it is an obvious explanation, but for the laymen here is some magical brain picks on how magic shows can build Awareness, Reflex, Patience, Precision and more! The expectation of the moment of misdirection is crucial in the way audiences behave and respond while observing and interacting with the performers and lecturers. When we are expecting to be misdirected (and try our best to avoid it!) we put a lot of effort in recognising objects that we are looking at and movements of our performer for amidst disorder. We therefore try to consistently remember wording, intonation, movements and items we come across and see in order to identify easily when an abnormality occurs. In shows this abnormality could reveal the moment when the illusionist is attempting to misdirect the audience, while in real life it is a first class training to improve our “awareness”!. What we love in our shows is to interact with our audiences and have the magic performed in and by the hands of our spectators! Apart from the great fun involved there are also the small letters of transferable skill training that goes undercover 😉 When called forward to participate in a show, the spectator is asked to respond to challenges and questions faster and since there is a wide audience in front of them, they also have to do it with great confidence. And since we love keeping our audiences fit & energetic, there are very intense reaction times to catch, avoid, and observe objects and behaviours, as well as quick solving of problems and methods. So, when booking a ticket to join our events you are also doing the “building reflex” 101 crash course! One could think that building confidence means remaining calm and focused while faced with challenges, or effectively sort through information to gather what is relevant, or not complain while waiting in a queue. Well, there are true, but there is also once element of the skill of patience that can brilliantly be trained by magic. A great performer has their audience at the edge of their seat, not wanting to blink to not miss the moment of awe and wonder! And that my friend is how we train people staying attentive and alert for longer periods of time. The finest element of “patience” trained in our shows! 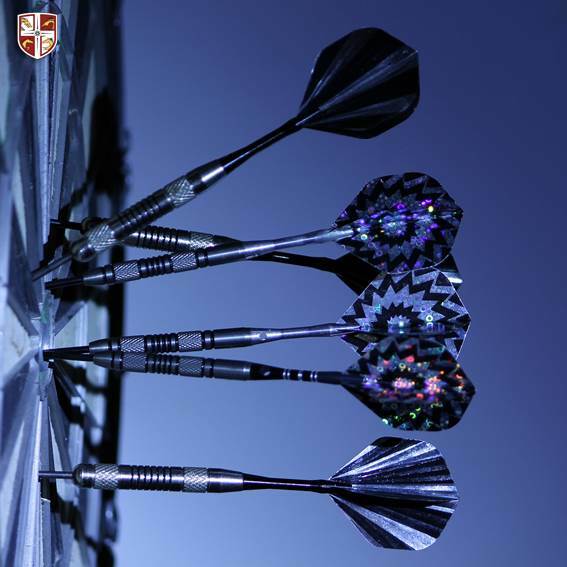 If the above were not enough for an undercover training, we have more for you: improving “precision”! Who doesn’t want to identify the moment when misdirection takes place? Everyone, including magicians when watching other magicians’ shows! Our attempt to capture difference between similar items and movements quickly, or to measure dimensions of objects at a glance, or identify errors is the fine base of training before attempting a career in darts!